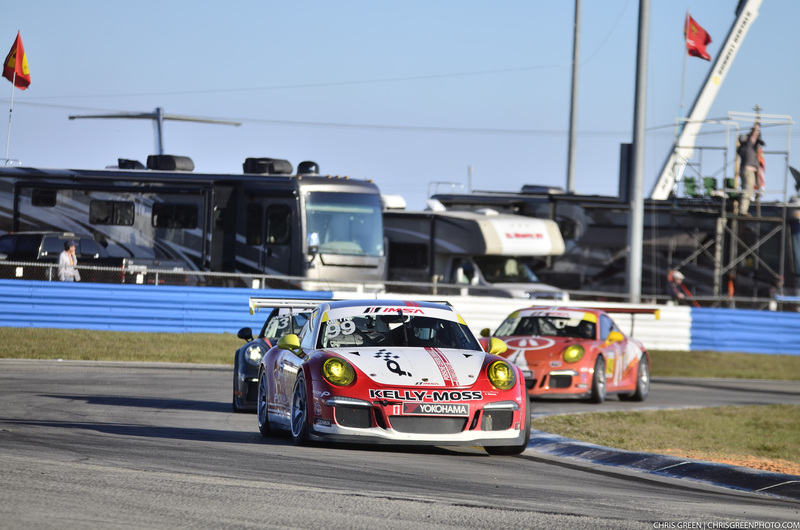 Sebring, Fla. (17 March 2017) – Kelly-Moss Road and Race (KMR) made a winning start to the 2017 season as the team launched its dual IMSA programs this weekend at Sebring International Raceway. 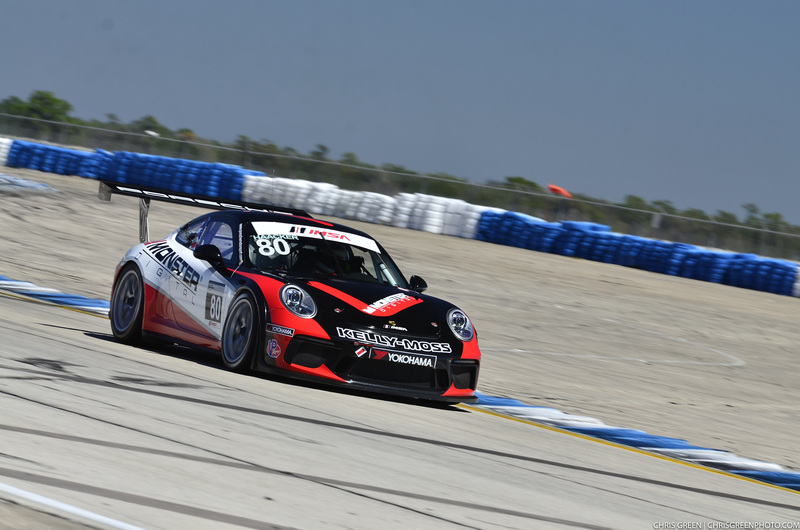 Looking to defend its championship campaign, KMR posted a strong five-car entry in IMSA Porsche GT3 Cup Challenge USA by Yokohama for the double-header race weekend. 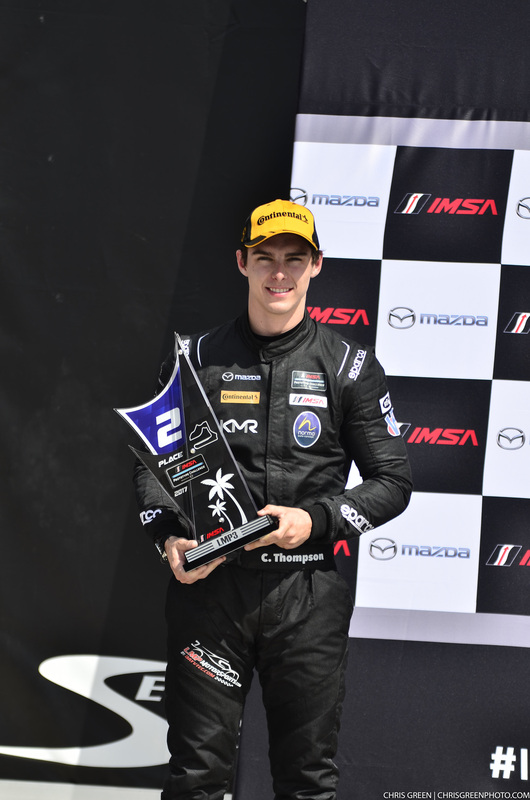 The team was once again a competitive force, with young American Jake Eidson taking a solid second to Scott Hargrove in Race 1 and a decisive victory in Race 2. 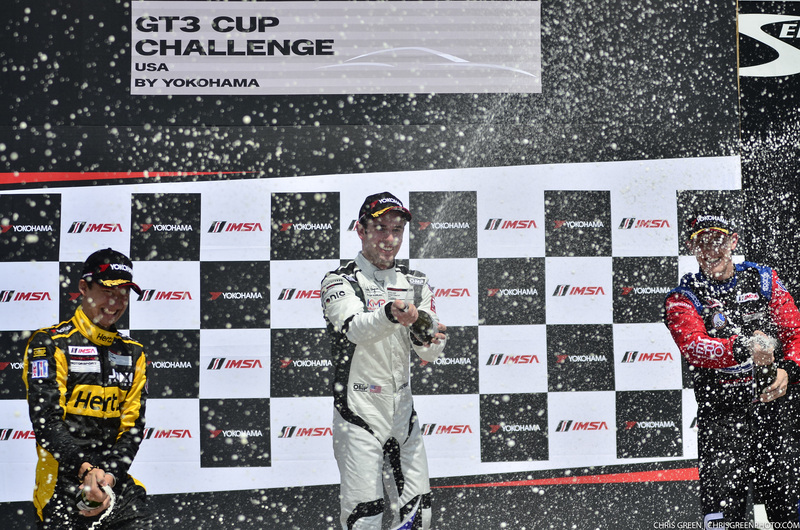 KMR drivers Tom Haacker, Kurt Fazekas, and Greg Palmer all had positives to take away from the opening race weekend of the season in GT3 Cup Challenge competition. The team also debuted its IMSA Prototype Challenge presented by Mazda program as the renowned Porsche squad has grown with the addition of an LMP3 program with driver Colin Thompson. The team brought the Norma LMP3 machine its first-ever podium with a run to second place on Friday. 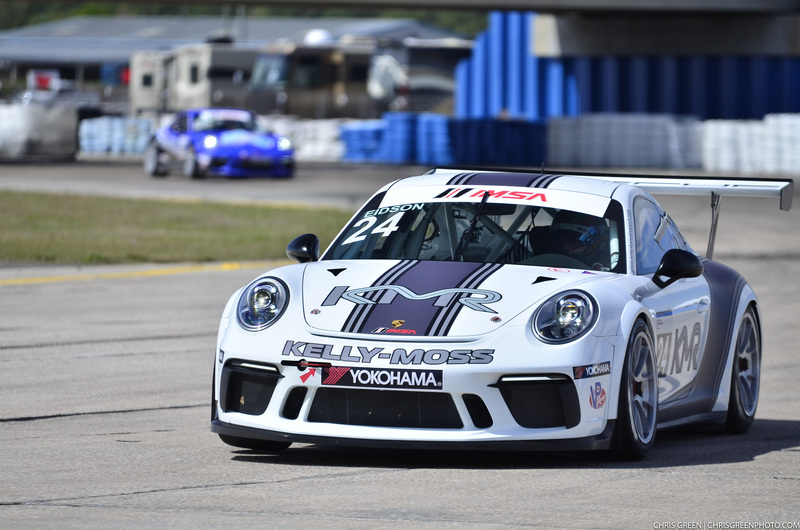 Eidson, who earned the support of the Hurley Haywood Scholarship to help put him behind the wheel of the Porsche 911 for the season, was pleased to leave the weekend with the championship points lead after a dominating run to victory on Friday. 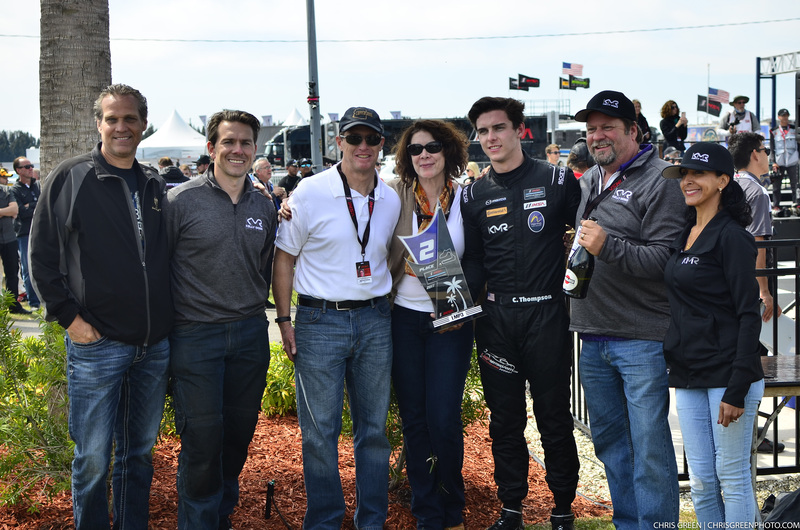 Also in Platinum class competition, Tom Haacker was hoping to score a masters podium but came home fourth in both races in his return to IMSA. 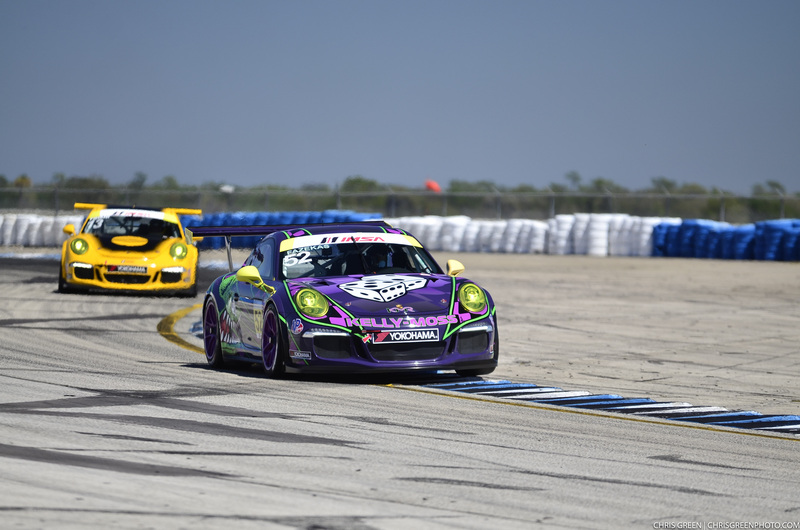 The race weekend also marked a big return for Kurt Fazekus, who was injured in a crash last year at Watkins Glen, with two podium finishes in the Gold Masters class. 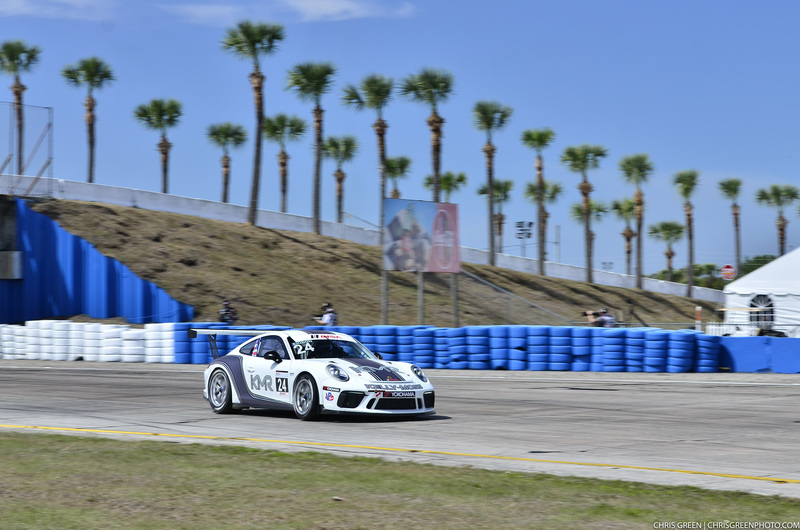 The race was the first at the IMSA level for Palmer, who adapted well to the new challenges presented by the deep field on the 3.74-mile circuit. 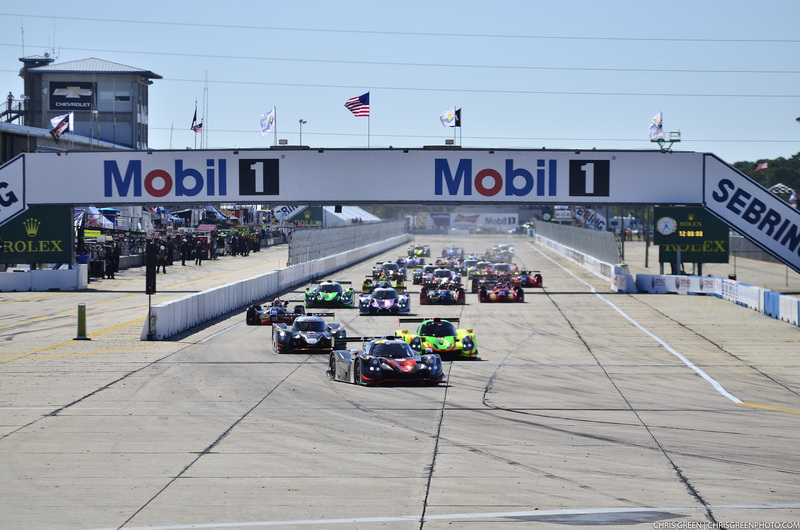 Race 1 of the Prototype Challenge weekend offered promise as Thompson scored third on the dual-class grid in the Ignite Payments, Mattoni Water, Brey Krause, Sherwin Williams, Ernst Benz and Edoardo Borrelli-supported Norma machine. The team took delivery of the car, the only example in existence, just last week but was quickly right on pace during the weekend. Thompson’s threat for the lead faded midway through the race as a half shaft gave up and cost him all power. With a brand new car and a sparse supply of spares, KMR had to use all the resources at hand and then some to prepare the Norma for Round 2. But that huge effort was well-rewarded as Thompson came home second on Friday to score some key championship points and launch the effort with some new hardware. Tom Haacker, LaQuinta, California – No. 80 Monster Digital 4th Masters-Plat. Kurt Fazekas, Indianapolis, Indiana – No. 52 Kelly-Moss 3rd Masters-Gold.